I’m 60 now, and I’ve finally decided to digitally scan the 1000’s of family slides and snapshots my dear shutterbug of a father left for posterity. 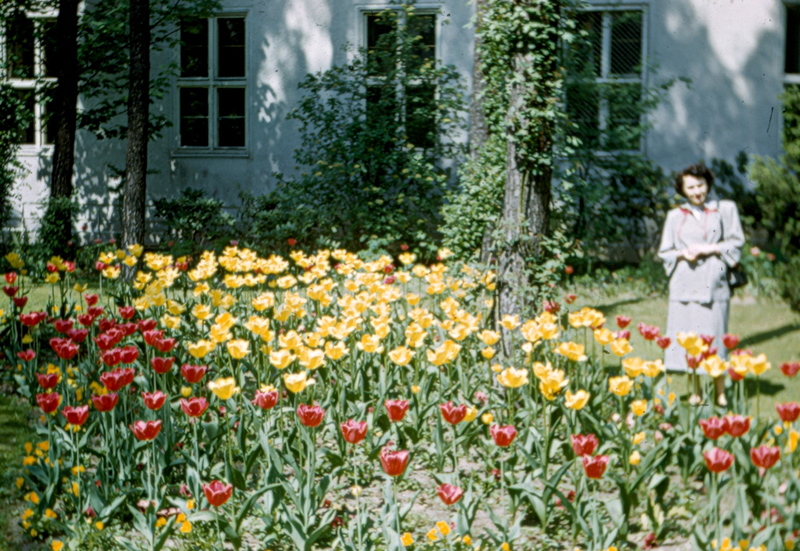 One picture taken in 1950 is of a tulip garden in Holland. When I was in grade school, a teacher asked the class if anyone had been to Holland, and I enthusiastically raised my hand and declared, “Yes! But I was still in my mother’s stomach.” The teacher laughed along with my classmates, but I had seen the picture of my pregnant mother standing among the tulips, so it seemed perfectly reasonable to say that I had been there also. Maybe my earliest memory then, really is of tulip gardens in Holland. Who’s to say that as I bobbled snugly in that warm saline bath, I didn’t sense that glorious sea of color, retaining the memory in some primal and inexplicable way? I am SO excited that you are creating a virtual journal filled with your beautiful memoirs of your sweet little life! Will look forwards to the updates!